Elite Office Solutions returns your completed transcription within 48 hours, and STATs are never a problem. We can help with vacation coverage and backlogs, too. When it comes to accuracy, experience counts! Elite Office Solutions has provided clients with accurate medical transcription services since 1986. Our hybrid medical transcription solutions are easier for clinicians: use EMR entry when you want to, and dictation when you don’t. Elite Office Solutions provides medical transcription and clinical documentation services for HIPAA-compliant document management. Our advanced platform is one of the most sophisticated clinical documentation systems available, integrating seamlessly with most EMR systems. Physicians and office staff save time by automating the process – how many more patients can a physician see in a day if given the option of dictating notes rather than hunting-and-pecking through a standard EMR? With Elite’s customized medical transcription services, you spend less time facing your computer and more time facing your patients. Watch the video at right to see how Elite Office Solutions integrates easily into most EMR systems. Then find out for yourself how fast, accurate, EMR-friendly transcription can save you time every day with a Free Trial. Click Here. All transcription is completed in 48 hours or less. Rush jobs available upon request! We can also quickly catch you up on backlogs. Elite Office Solutions customizes our services to your workflows including easy integration with your EMR system. You can use whatever style of dictation you like: upload your digital audio files, record on your cellphone, or call our toll-free number. You always talk with a Quality Assurance Manager anytime you call Elite with questions about your transcription. Use us as much or as little as you need. We can also help cover vacation periods or other backlogs. Get Your Free Trial Now! You can email or talk directly with a Quality Assurance Manager anytime you like. Elite is known for our outstanding customer service! Elite Office Solutions is 100% U.S.-owned and operated since 1986. All transcription stays here where our laws apply. Elite makes extensive use of macros and templates to make dictation easier for you and to reduce your costs. All file transfers including audio files and transcription meet HIPAA security standards. Your files never leave the country! Experience counts! Elite’s staff are all professional transcriptionists with experience in different medical specialities. Our professional medical transcriptionists flag anything that seems out of place including dosages and mispronunciations. Looking for an EMR system? We can help you find an EMR solution that works best for your clinicians AND your budget. 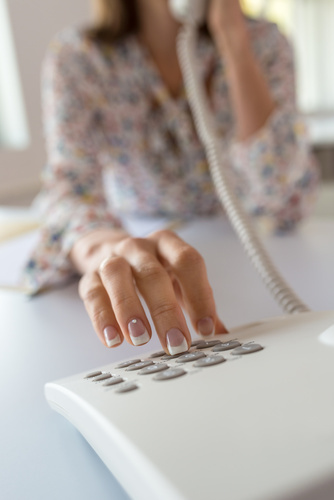 Plus, Elite offers many additional services to complement our transcription services including medical scribes, marketing services, and virtual assistant services. Are EMRs Really Helping You Provide Better Patient Care? 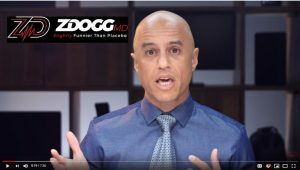 ZDoggMD Says No. Find Out How to Take Back Your EMR Here. Elite Office Solutions understands that every medical facility including single-office physicians, hospitals, clinics, and medical groups has its own distinct workflow. Our flexibility allows us to design a documentation solution that will meet your unique needs from preferred dictation methods to several different retrieval options. We also offer advanced medical transcription services such as electronic signatures, automated faxing, and automated printing, as well as offering dictation clinics to help further reduce the time you spend on document management. Contact Elite by using the contact form below or call us directly 800-977-8973 | 215-491-0400 for more information about our medical specialties transcription and documentation services. We can help you create a customized solution that works best for you and your office.